Masks must be worn in all patient care areas. A patient care area is defined as all nursing units (even while at a nurses station), any area where an unvaccinated employee may come in contact with patients, visitors or staff. This also applies to departments that serve patients, i.e., Radiology, Surgery, ER, Physical Therapy, etc. Areas where staff who decline vaccination do not have to wear a mask include the department’s break room or the cafeteria for meals. Masks can be obtained from your supervisor. If you have not received a flu shot, the following mask requirements are in effect at Methodist Physicians Clinic: Employees must wear a mask daily from the time the first patient arrives in the clinic until the last patient leaves. This requirement was effective Oct. 15, 2018, and continues through April 30, 2019. Q: How should I respond to a patient or family member who asks why I’m wearing a mask? Q: How do I put on my surgical mask? Secure ties or elastic band at middle of head and neck; or place ear loops around ears. Fit flexible band to nose bridge. Fit snug to face and below chin. 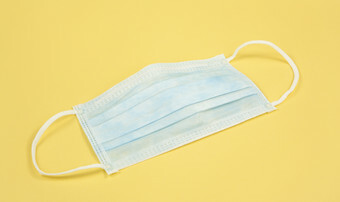 Q: How do I remove my surgical mask? Grasp ONLY the bottom ties, then top ties/elastic, and remove. Q: Can I untie my mask and wear it around my neck until I need to wear it again? A: NO. Once a mask is removed it is considered contaminated and should be discarded. Masks must also be replaced if they become moistened, soiled or torn during use. Q: Do I have to discard the mask after I’ve been in a Droplet Precaution Room, or can I continue to wear it? A: NO. You must remove the mask before leaving the room and discard it in the trash. The front of the mask is contaminated. Questions About Wearing the Mask? Call Methodist Infection Prevention and Control at 402-354-8715. At Methodist Jennie Edmundson, call Infection Control at 712-396-4404. To print a copy of the mask guidelines/FAQs, or to view other resources such as how to receive your free flu shot, see the Flu Shot Campaign sitepage, accessible from the home page of the mhsintranet. Thank you for your support of safe patient care!